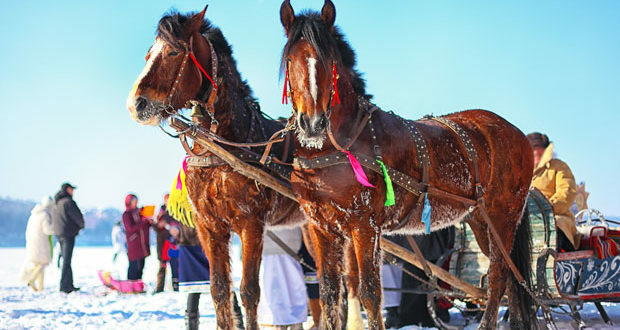 We’ve compiled a list of some great sleigh rides in Minnesota. From the Twin Cities area all the way up to the North Shore, taking a winter sleigh ride is something that’s fun for families and lovebirds alike. 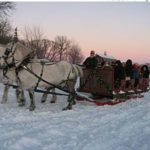 If you know of a great sleigh ride in Minnesota that we missed, please let us know – and we’ll get it added to our list! 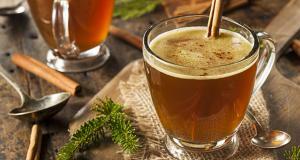 If you’re planning on taking a sleigh ride in Minnesota this winter, be sure to check out our list of warm cocktails for your Thermos – and cut the chill right out of the air! Cocktails not your thing? 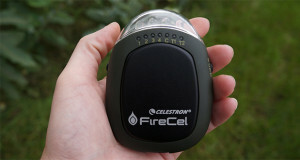 You’re probably going to need a solid hand warmer to fend off the frostbite. 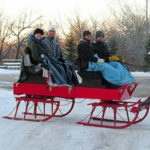 Learn more about sleigh rides in Minnesota at Bunker Park Stable here. What’s better than a picturesque sleigh ride through the North woods of Minnesota? A free one. The Grand View Lodge offers up their pair of Clydesdale horses for a short (15 minute) but sweet ride around their property in Nisswa. 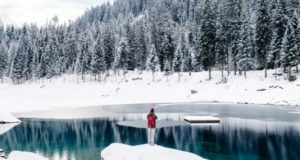 You’ll be able to take in the beauty of the pine trees, the sound of their hooves in the snow and the jingle of their bells before your hands even get a chance to freeze over. If you’re looking to make a weekend out of it, be sure to check out their cabins, cottages and suites – and complete your weekend outing. 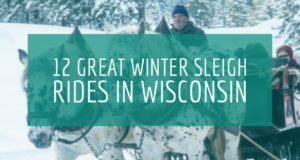 Learn more about free sleigh rides in Minnesota at Grand View Lodge here. There’s something to be said about a ranch that’ll accommodate sleigh ride groups from 2 people all the way up to more than 60 – they’re built for it! The Ironwood Springs Christian Ranch will deliver a romantic “cutter ride” on their sleigh built for two, along the Root River near Stewartville. If the group outing is more your speed, their 20 person sleigh will work in shifts, ensuring that everyone in your group gets a chance to be pulled behind their horse fleet. The amount of time on the sleigh varies depending on how many are in your group – and they even offer meeting space to make sure that no one is left out in the cold while they’re waiting. 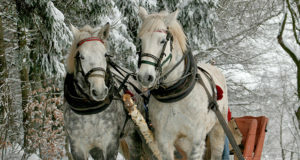 Check out more information on sleigh rides at Ironwood Springs Christian Ranch here. 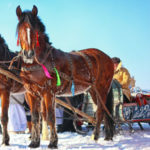 If you’re looking for a sleigh ride in Southwestern Minnesota that combines the majesty of horses along with the magic of Christmas, look no farther than Perch Creek Farm. For just $7, you’ll board one of their two horse-drawn sleighs that follow a path through lighted Christmas decorations and scenes – making it the perfect night sleigh ride during the holidays. 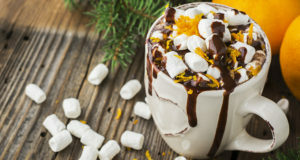 Although the ride is short, you’ll find it’s worth the trip – especially after you warm up in their warming room with a cup of complimentary hot chocolate and popcorn. 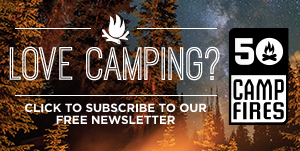 If all of that wasn’t enough, step up to the fire – where you can roast marshmallows and take in the crisp Minnesota air. 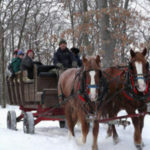 Check out more information about sleigh rides in Minnesota at Perch Creek Farm here. Less than an hour drive from Minneapolis sits the Roselawn Stables, and their team of horses. Situated outside the scenic town of St. Francis, this dedicated horse and riding ranch will whisk you away on a once-in-a-lifetime horse drawn sleigh ride that’s ideal as either a family friendly activity or as a romantic evening away near the Twin Cities. Their options range from their Enchanted Sleigh, designed for groups up to 4 people all the way up to their Bob Sled for groups up to 20. 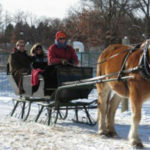 For more information about sleigh rides in Minnesota at Roselawn Stables in St. Francis, MN click here. 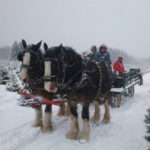 Combine two activities into one, when you ride a horse drawn sleigh to pick out your Christmas tree at Happy Land Tree Farms. Sure, the thought of riding a sleigh on a Christmas tree farm might invoke thoughts of the Griswold’s in a National Lampoons classic, but the trees at Happy Land are legendary….like best Christmas trees at the Minnesota State Fair famous. In addition to the sleighs and trees, they offer a bonfire, gift shop and concessions, as well as free coffee, apple cider and popcorn. Might be time to make a new tradition. Dashing through the snow, in a one horse open sleigh – is real! 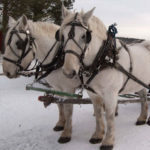 The folks at Outback Ranch have assembled Maggie and Mollie (their team of Belgian horses) to pull your private sleigh ride through the scenic woods near Brainerd, MN. As the saying goes, it’s less than a tank of gas away – and you’ll be well on your way to a North woods sleigh ride. 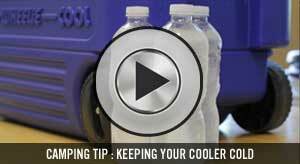 They can easily accommodate groups or more private rides regardless of the amount of snow on the ground. 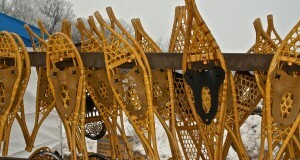 For more information on sleigh rides in Minnesota at Outback Ranch, click here. There’s nothing quite like the sound of the clip-clop of horse hooves as your sleigh glides over a blanket of freshly fallen snow. The folks at Cyclin’ Inn understand this, and combine their sleigh rides with scenic overlooks as the trip winds through over 100 acres of private property in Southeastern Minnesota, outside of Rochester. 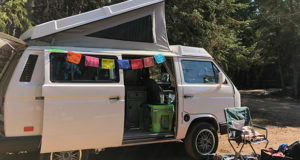 They can accommodate groups ranging from a couple (call ahead – they might be able to pair you up with another group) families up to five for a single price. 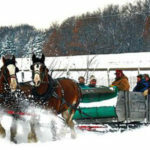 For more information on horse drawn sleigh rides in Minnesota at Cyclin’ Inn, click here. If you close your eyes, you can almost picture it. 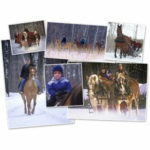 A sleigh ride through snow covered woods, meadows and pastures near Hibbing. You’re not dreaming, and Mr. Ed’s will make it a reality! While the farm takes its name from the famous talking horse, we can (almost) guarantee that you won’t find him on this sleigh ride. If you’re planning on a group outing of 12 people or more, Mr. Ed’s also offers an event center that can be reserved for hanging out after the ride. 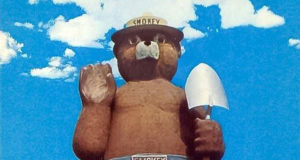 If that wasn’t good enough – you’re welcome to hang out and visit with the animals as well. 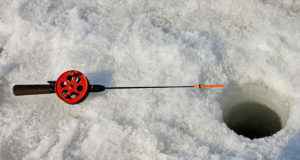 Be sure to dress for the weather, the only thing that cancels trips at Mr. Ed’s is ice! 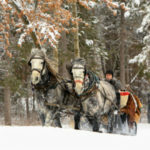 For more information on sleigh rides in Minnesota at Mr. Ed’s Farm near Hibbing, MN click here. Travel 27 miles up the Gun Flint Trail, and you’ll find the Okontoe Campground. This 100 acre slice of heaven switches over from lakeside campground in the summer to a North country sleigh ride haven in the winter. 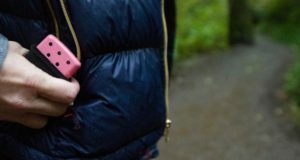 A trip up to Okontoe is for only the most dedicated adventurers, but while you’re up there – there’s plenty of winter fun to keep you busy along the North Shore, the Gun Flint Trail – and of course, the beautiful town of Grand Marais. 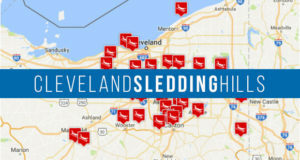 For more information on sleigh rides on the Gun Flint Trail, click here.